Platen type superheaters often require use of squeezed bends on the inner most loops of the superheater. To achieve this tube bends are made to a larger radius then hot squeezed down to the required centre to centre distance. Uneek ensure that all our boiler tube bends meet the critical requirements of Australian standard AS1228 and AS4458, in particular the requirements of ovality and thinning of boiler tube bends. 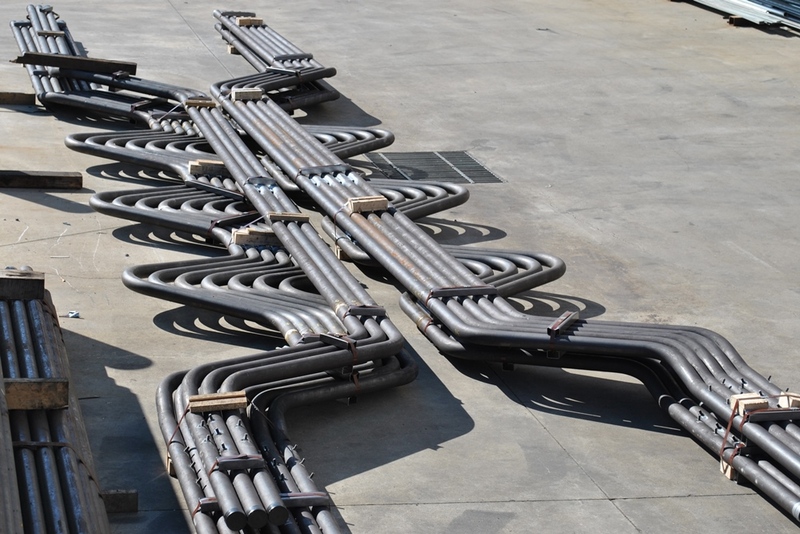 If required Uneek Bending can carry our further heat treatment and fabrication required in the manufacture of superheater elements, re-heater elements and economiser banks.